Guest blog from Professor Dame Jessica Corner, Pro-Vice-Chancellor for Research and Knowledge Exchange. In 2017, we committed to the most significant planned investment in our research and our people in the University’s history. 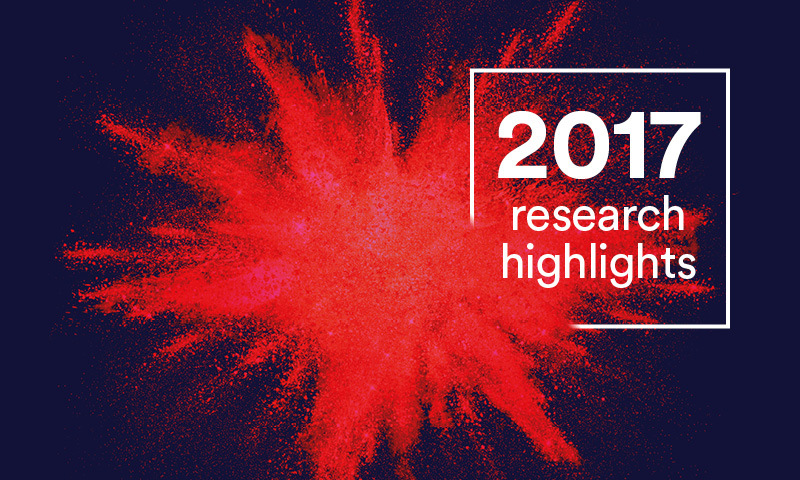 As the year draws to a close, we can reflect on the milestones delivered by our Research Vision that underlines our commitment to world-leading, transformational discovery. As Pro-Vice-Chancellor for Research and Knowledge Exchange, a personal highlight has been supporting our pledge to attract more world-class researchers to our University. As part of this commitment, we are recruiting 100 Research Fellows and I am privileged to be involved in the selection process for these prestigious positions, with the greatest number of applications we have ever received. Several times this year I have had the opportunity to meet our remarkable fellows, in labs, workshops and as part of cross-disciplinary groups. Meeting such extraordinary people – who share their passion for research with such enthusiasm – is inspiring. Take a look at this short video featuring some of our inspirational fellows as we look back on some of our highlights of 2017. Our Research Vision, however, focuses on all our exceptional researchers across the University, and on further strengthening our research ecosystem. Equally vital is our commitment to supporting all our researchers. What this investment means for you has been a key message of 2017 at the research roadshows and in our internal communications and engagements. 2018 and beyond will see further continuous investment in our research and our people. Thank you for your support, your dedication and your belief in our collective power to transform lives through our research. For a review of our year in research, see the December edition of Discover: Research and Knowledge Exchange at the University of Nottingham. If you have not received the newsletter and wish to subscribe, please contact the research marketing team at sophie.moyses@nottingham.ac.uk.